Students at times have trouble identifying with historical events, especially when those events occurred to a cultural group other than the one(s) with which they are familiar. One way to assist students to identify and begin to understand the emotional and social costs of past injustices is historical fiction. There is a specific type of historical fiction that I have always found particularly engaging: that which tells of a protagonist who finds herself pulled back through time and experiences a series of historical events firsthand. There are a handful of great examples of this motif in YA literature: Fog Magic by Julia Sauer, Handful of Time by Kit Pearson, and The Grave by James Heneghan, to name just a few. 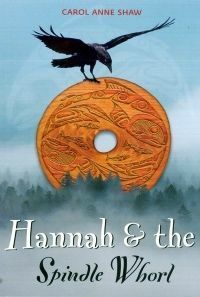 Today’s BC lit post adds Hannah and the Spindle Whorl and Hannah and the Salish Sea by Carol Ann Shaw to that list. In the first book Hannah lives in present-day Cowichan Bay. On her walk through a patch of forest one day she discovers an old Salish spindle whorl and it transports her back in time where she meets Yisella, a Salish girl her own age. They become friends and it is through this friendship that Hannah witnesses a small portion of the cultural pillaging that occurred when white Europeans started spreading out along South Coastal BC. It looks as though a third book about Hannah is coming out this fall. This is a great trilogy to incorporate into a unit learning about the history of the peoples and cultures of South Coastal BC. We are halfway through Poetry Month! In a change from last year, this April we are focusing on specifically BC literatures in support of the ABPBC’s Read Local BC campaign but luckily, when we look around poetry features prominently in the local cannon. Today I would like to continue a thread started yesterday and share another iten created by the intersection of Local + Maps + Story. I love the idea of a verse map. Should you be inspired by this idea, the breadth of topography might vary: from covering a region or your entire town, to remaining on within the bounds of the school property. Another book that could fall within the Local + Maps + Story thread, and is simultaneously smaller and larger in scope, is Gulf Islands Alphabet by Bronwyn Preece (Illustrated by Alex Walton). 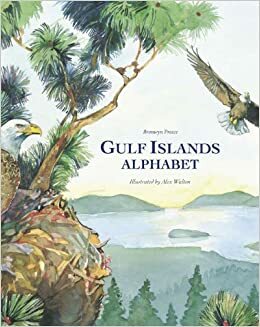 This picture book is a poetic description of the Gulf Islands and the Salish Sea, featuring an alphabetic sequence of alliterative passages accompanied by rich watercolour illustrations. 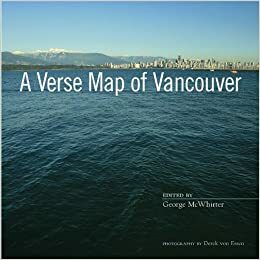 It differs from A Verse Map of Vancouver in that it covers a wider area, but does so with a single text. It’s another option to inspire a way for students to engage with their geography through poetry. If you have a local resource of this sort for your town or area in BC, please share it in the comments!